Have you ever had the need to charge your Motorola RAZR but did not have access to a charger? It happens to me all the time. I have only one charger and I leave it at home. Often while I’m at work, my RAZR lets out its distinctive cry to warn me it wants to be fed. Well, know that it is possible to charge it by connecting it to a computer via the USB port. All you need is a mini-USB cable handy, such as those used by many MP3 players and digital cameras. The RAZR charges via its mini-USB port. However, it will not charge if you simply connect it to a computer. You’ll need to install special drivers to achieve this. Fortunately, Motorola has made available these drivers for members of the MOTODEV (Motorola developer community), and anyone can join in, create an account and download the RAZR drivers for their Motorola phone. Note that these RAZR drivers are only available for Windows based PC. Once you have installed the drivers, your Motorola RAZR should begin charging up as soon as you connect it to a computer. As a bonus, these drivers allow you to use your Motorola RAZR as a modem. That means if you have access to a dial-up internet connection, your RAZR can allow you to connect your laptop to the internet from virtually anywhere. 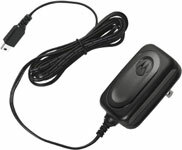 Once you have installed the drivers, the Motorola modem should be available to use in Windows just like any other modem. If you don’t feel like creating an account with MOTODEV and messing around with drivers, you could always buy a spare charger… They seem to be selling chargers for the RAZR pretty cheap nowadays. I did not mean instant internet acces. I meant you can use your cell phone as a modem to connect to your internet service provider if you have a dial up access. I tried it with Freedialup.org and with Bellsouth’s dial up. Phone disconnects before the other modem had a chance for the handshake.Must be a setting somewhere for a delay, like in the old modems. Anybody had any luck with this? I’m having problems connecting with the computer when you charge with a mini-USB cable. to my computer but it doesn’t charge after I download the drivers. Do I have to download all of the drivers or just one? I’m having the same problem with the phone dropping the call before it can connect with my ISP. Adam, would you elaborate on the program changes needed? Next post: What Are Unlocked Cell Phones?